Whether you're looking for something to read while eating lunch or lounging on the beach, these out-of-the-ordinary books will make you excited about getting back to work. You probably haven't received a reading list since you were in school. But don't worry, this one includes selections that definitely won't feel like homework. Since most entrepreneurs can't ever truly leave their work behind--even on vacation--we've selected titles that will seem more like pleasure than business. You can feel better knowing that even though you're reading about crazy bosses, Marine Corps adventures and Buddha, you'll be making yourself a better business owner at the same time. Whether you're looking for inspiration, humor or more traditional business advice, we've found a mix of all three in the following 10 titles. Why this book stands out: There are plenty of books about corporate giants and how they came to be. What sets Bill & Dave apart is its focus on how ethics and integrity helped the Hewlett-Packard founders build a global empire. With corporate scandals still making the news, this book is a refreshing read that will not only validate, but also increase your admiration for William Hewlett and David Packard. Who should read it: CEOs, entrepreneurs and anyone who aspires to add those titles to their resume. Why this book stands out: Blogging has been surrounded by an abundance of hype in the last few years. But this book challenges the assertion that for your business to succeed, you have to maintain a blog. Robert Bly takes a scrutinizing look at the drawbacks and potential benefits of blogs and admits he's received criticism for his skeptical approach. Who should read it: Business owners thinking about starting a blog--or who already have a blog--will want to consider Bly's analysis. Bloggers will also benefit from Bly's practical tips on how to make a blog effective. Why this book stands out: Are you a trendsetter or a trend-follower? If you're the latter, Coolhunting aims to change that. Authors Peter Gloor and Scott Cooper say anyone can anticipate the next big trend before it launches, regardless of their coolness quotient. Who should read it: Company leaders involved in social networking will want to read this book, as it discusses MySpace and Friendster as key components to understanding "coolhunting," though the authors elaborate on how the practice affects all fields of business. Why this book stands out: We've all complained at one time or another about a boss that absolutely drove us crazy. But few of us have gone so far as to publish a book about the dilemma. Stanley Bing has--twice. Bing published his first version of Crazy Bosses in 1992, and decided to take another stab at it by compiling even more hilarious stories about demented bosses than the first time around. Who should read it: Employees can learn how to better deal with their bosses' power trips, while anyone with leadership responsibilities can learn how to manage more effectively. Why this book stands out: If the title alone doesn't catch your attention, the stories will. Following the success of New Ideas from Dead Economists, Todd Buchholz explores the lives of 10 of the greatest CEOs of all time, including Estï¿½e Lauder, Ray Kroc, Walt Disney, Mary Kay Ash and Tom Watson Sr.
Who should read it: The audience for this book isn't limited to entrepreneurs or business people. New Ideas from Dead CEOs details inspirational stories from the greatest business minds in history. Anyone can learn from their struggles, setbacks and, ultimately, successes. Why this book stands out: No Yelling delves deep into the world of the Marine Corps by providing more than 100 interviews with current and former Marines who also succeeded in the private sector. Wally Adamchik raises a topic, such as integrity or self-awareness, and then gives both a civilian example and a Marine example of that aspect of leadership in action. Who should read it: Anyone who wants to hone their leadership skills and learn tried-and-true ways to motivate employees. Why this book stands out: Christine Comaford-Lynch's reputation as a "renegade entrepreneur" is apt. From a romantic rendezvous with Bill Gates during her Microsoft days to her adventures as a monk, Comaford-Lynch spices up this atypical business book by providing juicy details, while still integrating the valuable business lessons she's learned. Who should read it: Whether you're a wannabe entrepreneur or already run an established business, there's bound to be a story in this book that will interest you. The only drawback: You'll have to wait until September to check out this humorous and witty read. Why this book stands out: David Silverman's book tells the true story of his experience borrowing his father's life savings to purchase a struggling typesetting company in Iowa. He writes with humor about the hardships he faced in trying to boost employee morale while digging the company out of a deepening hole. Who should read it: If you own your own business or feel the entrepreneurial twitch, you'll be able to empathize with Silverman's struggles and failures as he desperately tries to pursue his American dream. Why this book stands out: Mark Stevens isn't afraid to take a different approach to management, as evidenced by his bold title. Stevens asserts business people will never get anywhere by following the rules and being team players. Instead, he encourages aspiring CEOs, entrepreneurs and leaders to be business outlaws by shoving the rule book aside and rebelling their way to the top. Who should read it: Stevens' seven-point plan will help anyone in a leadership position identify weaknesses in their managerial philosophy so they can become the leaders they've always wanted to be. Why this biz book stands out: First, this 6-inch-by-6-inch book is just the right size to fit in your carry-on or beach bag. But more importantly, it succeeds in mixing Buddha's teachings with today's corporate culture. 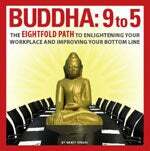 Nancy Spears guides readers through applying a Buddhist practice known as the Eightfold Path to their own office environment. Who should read it: If you're a bit skeptical about taking business advice from Buddha, you're probably not alone. But Spears anticipates that cynicism by providing relevant exercises and case studies from companies that benefited from her spiritual practices. Want more? On July 20, Entrepreneur.com is launching a column devoted to books that will help you and your business grow and succeed. So stay tuned for insightful book reviews and recommendations.